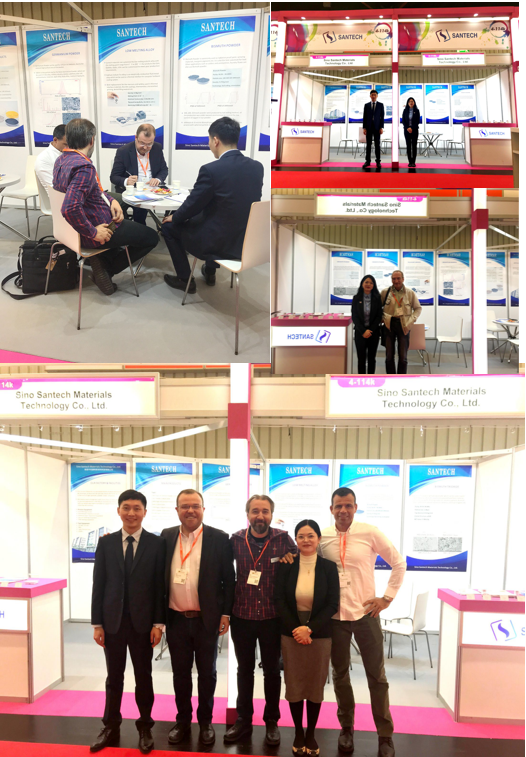 The 15th European Coating Show - Changsha Santech Materials Co., Ltd.
Santech Materials was participated at the 15th European Coating Show in Nuremberg, Germany from 19th March to 21th March. Our Bismuth Series products and Low Melting Alloy draw the attention of customers to discuss about the applications of our products and R&D solutions for new materials. We met clients from more than 15 countries and get their requirements for our products and exchanged the market information. It was pleasure to meet our clients from european markets and had further disccusion for future cooperation. Further products information can be found on our website www.santechchem.com or send email to santech@santechchem.com for more details.